The following orders were issued by Lt. Col. Robert Galbraith in March 1864. 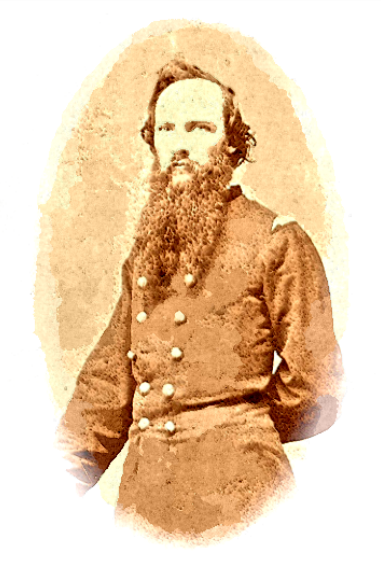 Robert Galbraith was commissioned a captain in Co. C, 5th Tennessee Cavalry (Union), in July 1862, and resigned as a lieutenant colonel in Field & Staff on March 11, 1864. The 5th served mostly in the eastern part of Middle Tennessee, engaging in frequent skirmishes and taking part in a few battles, most notably the battle of Stone’s River. Galbraith’s war diaries are held at the University of Tennessee. On 10 November 1864, the 5th Tennessee Cavalry was ordered by Major General George H. Thomas, “to proceed to Nashville, without delay, to reorganize and complete its muster.” It remained at Nashville until January 24, 1864, when Colonel Stokes, with his command, was ordered to Sparta, to destroy the guerrillas who infested that section of the country. Meanwhile, on 10 January 1864, General Thomas recommended a separation of the regiment between Stokes and Galbraith, making two regiments. On January 30, Major General Lovell H. Rousseau, at Nashville, reported the troops in the District were generally under good discipline, well equipped, and in good condition, “excepting, of course, the 5th Tennessee Cavalry under Colonel Stokes, and a few others, who are neither well drilled, disciplined, or equipped. It is proper for me to remark here that two battalions of that regiment will never be of service together, and I shall press upon Governor Johnson the suggestion of the General commanding the Department to separate them.” At this time Galbraith’s Battalion was at Nashville, along with the rest of the regiment. Colonel Stokes’ influence with Governor Johnson was apparently greater than that of the General commanding, for the regiment was not separated as recommended. As ordered, Colonel Stokes moved to Sparta, about February 1, 1864. In his reports covering his operations, Colonel Stokes stated he took about 150 men with him, but was shortly afterwards joined by Captains Blackburn, Waters and Brandon, bringing his force up to 200 men. On February 18, with companies “A”, “B”, “G”, “I”, “K” and “L”, he fought an engagement near Sparta with the Confederate forces under “Hughs, Hamilton, Ferguson, Carter and Bledsoe,” and another on February 22 on Calfkiller Creek. On the 24th he was joined by portions of Companies “C”, “F”, and “H”, most of these companies still being at Nashville with no horses. For the first time in many months, all the companies were represented at one place, except the two Alabama companies which had been captured with Colonel Streight, and Co. “M”, which was not organized until later. During the months of February and March, Stokes reported numerous engagements around Sparta, Calfkiller and Beersheba, and scoured Overton, Putnam and Jackson Counties for guerrillas. He urged the necessity of remounting his men, and arming them with Springfield rifles. Headquarters D. A. 5 Tenn. Cav. Company Commanders of Co. C, F, H, M will prepare and get everything in readiness for marching immediately. All surplus saddles & horses, equipments, belonging to the dismounted men will in accordance with Orders from Dist, Headquarters be stored in Nashville. Nine dismounted men in addition to all those who are mounted will be detailed to report to Capt. William O. Rickman to accompany waggon train via Lebanon to Sparta. All other dismounted men will report to Lieut. Roulston who will proceed without delay via R. R. to McMinville & thence to Sparta. Company commanders will see that their men are well armed & supplied with ammunition to resist any attack that may be made on them. I certify that the above is a true copy of the original order. Sergt. R. Gillespie, Co. H, 5th Tenn. Cav. This entry was posted on Wednesday, July 23rd, 2014 at 11:22 pm	and posted in Uncategorized. You can follow any responses to this entry through the RSS 2.0 feed.